The holidays are approaching, bringing along lots of family time. Spending time with family is wonderful – full of warm moments and the makings for happy memories. Many of us cherish this season for the time to engage in family traditions. But we know spending too much time with extended family can generate mixed feelings - preparing for everything from interrogation by elderly relatives to crafting a menu that suits obscure and selective dietary habits of cousins and their children. We can’t recommend any archevore-friendly holiday recipes or explain Snapchat Stories to Aunt Martha. But we can help with table conversation, which might help you make the most of the opportunity to have your family gathered together. As far as conversation topics go, the holidays are a great opportunity to pull some family stories out of older relations. 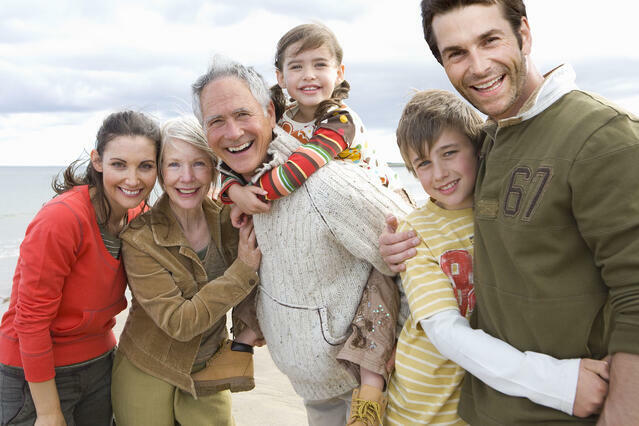 Having the family all together might jog grandpa or grandma’s memory and also help to fill in any blanks. Studies have shown that children who listen to stories about their own families do better in school. Younger children who learn effective methods of communication, are better able to recount events in their own lives in a sophisticated manner, and are better able to regulate their own emotions. Older children feel more a part of a larger family unit and develop a more positive self-concept and higher self-confidence. The most effective stories for supporting child development describe a back and forth between struggle and success. These stories show that life can be challenging, but that those challenges can be overcome – perhaps not always according to the protagonist’s original plan, but overcome nonetheless. Don’t worry about sugar coating or overly editing your family history either. Kids can tell when they’re not hearing the whole story, and it’s hearing about those struggles and how they were dealt with that teaches resilience and perseverance. So go ahead and ask Aunt Martha to tell the story about the time she foiled the neighbor’s plot to dig up the raspberry bushes. Maybe a cousin will share the etymology of archevore or tell the story of how he decided to adopt that diet in the first place. You never know what psychological benefits your children might absorb or what spying or cooking tips you might learn!